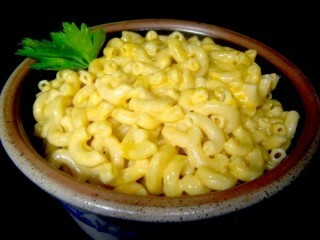 The difference between the "deluxe" version of Kraft's Macaroni & Cheese Dinner and the original is the cheese. The deluxe dinner has an envelope of cheese sauce, while the original dinner, introduced to the nation back in 1937, comes with powdered cheese. 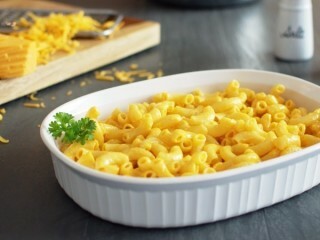 The original Kraft Macaroni & Cheese Dinner is the most popular packaged dinner product around, and one of the top six best-selling of all dry goods sold in supermarkets—probably because it only takes about 7 minutes to prepare, and a box costs just 70 cents. 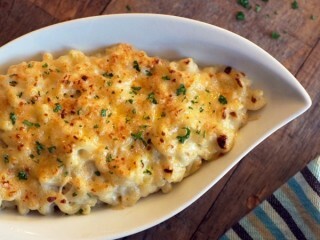 And who doesn't like macaroni and cheese? But it's the deluxe version—the more expensive version—with its pouch of gooey, yellow cheese sauce, that Kraft reformulated as a reduced-fat product in 1997. The new version boasts 50 percent less fat and 10 percent fewer calories than the deluxe original, and tastes just as good. So here's a simple clone that requires you to get your hands on Cheez Whiz Light, reduced-fat Cheddar cheese, and elbow macaroni. 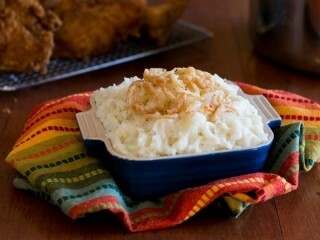 If you've ever seen a clone recipe for KFC Cole Slaw it probably looks like this. 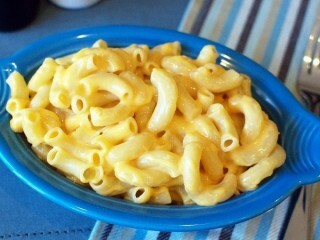 This replica recipe has become one of the all-time most shared recipes on the wires of the intraweb. 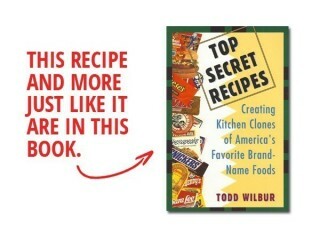 Here's the original secret formula from my first book, Top Secret Recipes, to clone the world's best slaw. Sure, KFC's potato salad is good, but have you ever wondered why they don't sell a fat-free version? It really wouldn't be so tough to substitute fat-free mayo for the regular stuff, then just sweeten it up with some sweet pickle relish and sugar. Throw a few spices in there, some bits of veggies, and the recipe might look something like this. Menu Description: "Rotini, cukes, tomatoes, scallions and vinaigrette dressing on the side." On the back of each menu at this popular dinner house chain is the "Hooters Saga"—a tongue-in-cheek tale of the restaurant's origin. The story claims that the chain's founders, referred to as "The Hooters Six," were arrested shortly after opening the first Hooters restaurant "for impersonating restauranteurs (sic). There were no indictments," the story explains. "But the stigma lingers on." Even though the "saga" claims the building for the first Hooters restaurant was originally going to be used as a "giant walk-in dumpster," each Hooters outlet is designed to look like a Florida beachouse. And whether it's December or July, day or night, you'll notice the trademark multicolored Christmas lights are always on. Since Hooters is more than just Buffalo wings and shrimp, I thought I'd include a clone for a newer item on the menu. You'll love the tasty tri-color pasta salad tossed with tomatoes, cucumbers, and green onion, and a delicious vinaigrette. Use this Top Secret version of the pink vinaigrette dressing on a variety of salads or sub sandwiches, or even as a marinade. This recipe was designed specifically for the Dr. Oz Show when I was tasked with creating a healthier alternative to KFC's famous cole slaw. 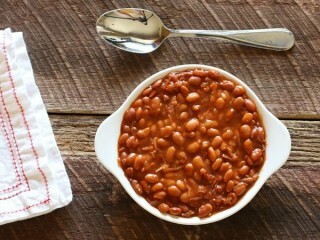 Here's the recipe from the show that duplicates the taste of the original, but with half the fat and almost half the calories of the KFC favorite. 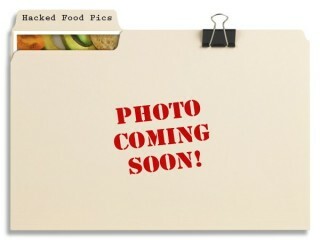 When Boston Market first opened in 1989, it was called Boston Chicken. That's because at that time chicken was the only meat served at the chain. But three years later, in 1992, the chain added meatloaf, turkey, and ham, and officially became Boston Market. Yes, a lot of signs had to be changed at considerable expense. 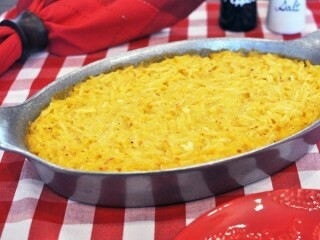 This popular side dish, which contains three types of cheese, normally has 24 grams of fat per serving. 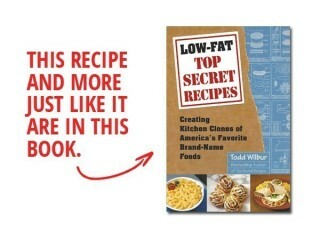 So, for this recipe, we will be using two fat-free cheeses along with regular Provolone, and we'll be able to re-create the taste of the real thing, but with just 25 percent of the fat in the original. Menu Description: "Stir-fried with garlic." 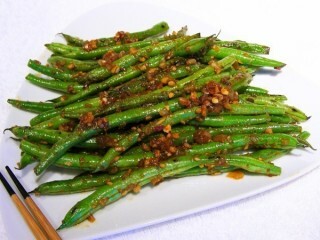 This is a standard side dish at the country's biggest Chinese dinner chain, and it'll take you just a couple minutes to duplicate at home as a good veggie side for any meal, Chinese or otherwise. It's especially good when you're pressed to slam together a last minute vegetable for tonight's dinner. You can use a wok for this, but I always just use a medium-size saute pan. 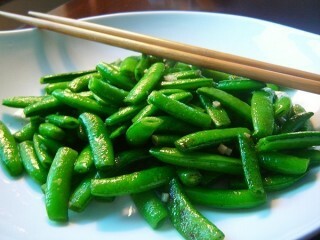 The trick is to saute the snap peas quickly over high heat, tossing often, until they're hot, yet still crispy and bright green. You get the garlic in right at the end, and then quickly pull the pan off the heat so the garlic doesn't scorch. 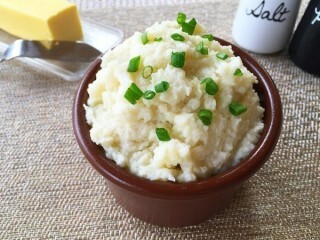 Here's a simple copycat recipe for KFC potato salad that's usually sold as a side dish at America's largest fast food chicken chain. 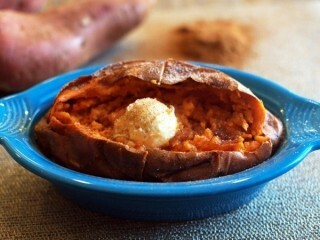 Some of the skin is left on the potatoes in the real thing, so you don't have to peel yours too thoroughly. 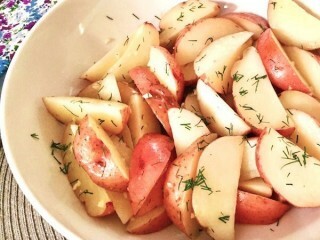 Just be sure to chop your potatoes into cubes that are approximately 1/2-inch thick, and then let the salad marinate for at least 4 hours so that the flavors can properly develop. 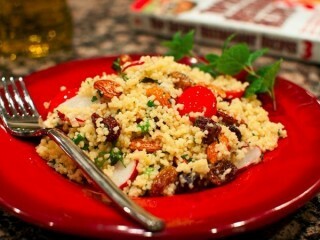 If you let the salad chill overnight, it tastes even better. Menu Description: "Lone Star fries smothered in Monterey Jack and Cheddar cheese, topped with bacon and served with ranch dressing." Growth by this newcomer to the steakhouse segment has been phenomenal. So far, there are over 160 Lone Stars across the country, most of them in the East and Midwest. There are even four in Austrailia. The company is the fastest growing steakhouse chain in the country, and if you don't have one near you yet, you probably will soon. 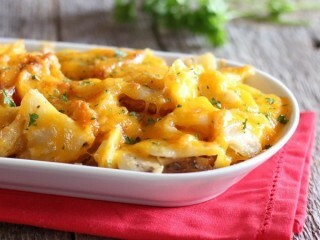 Amarillo Cheese Fries are made with thick-sliced potatoes. 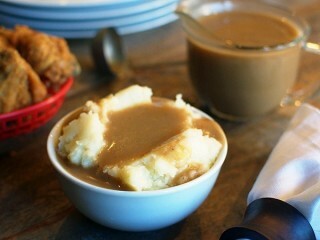 The recipe here is created from scratch, using freshly sliced potatoes. But, if this is one of those days when you just don't feel up to slicing and frying some russets, you can also use a bag of frozen steak fries. 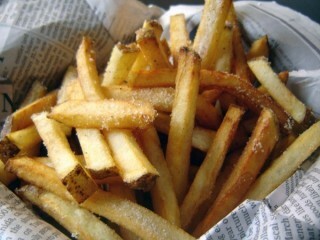 Just be aware that those will likely be made from peeled potatoes, unlike the restaurant fries which are unpeeled. 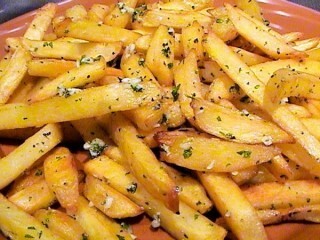 I've also included a cool recipe for homemade ranch dressing to dip the fries in, if you decide you'd like to make yours from scratch. 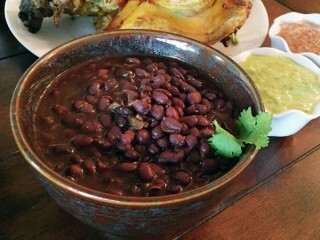 With Southwestern-style dressing, corn, peppers and fresh cilantro, this is a great-tasting clone. Koo Koo Roo's "California Style" flame-broiled and rotisserie chicken meals come with a wide selection of very tasty side dishes, including Tangy Tomato Salad, Garlic Mashed Potatoes, and Confetti Rice. 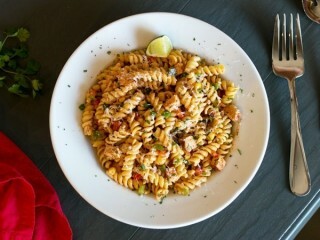 This cold Santa Fe Pasta salad is one of the favorites on the long list of 24 sides. 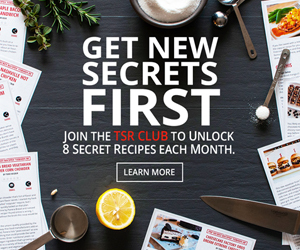 And here's the TSR hack recipe to help you make a version of your own that tastes as good as the real thing. The best selling menu items at the Lone Star Steakhouse & Saloon are the mesquite grilled steaks. The USDA choice-graded steaks are hand-cut fresh daily and displayed in a glass meat counter that is visible from the dining area of each restaurant. Customers are encouraged to view the meat for themselves and personally select the steak they wish to eat. 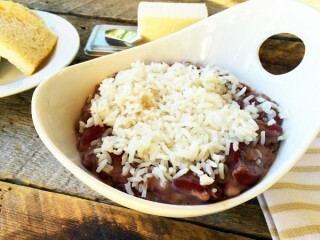 Here'e a hack for the great rice served on the side at the famous steakhouse chain. 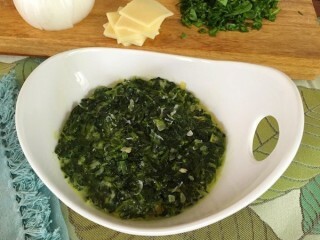 Creamy garlic spinach the Joe's Stone Crab way is a simple preparation. Two boxes of frozen, chopped spinach and a few other ingredients are all you'll need to re-create this awesome dish. The ground nutmeg is the secret addition that sets this creamed spinach apart from other chains. 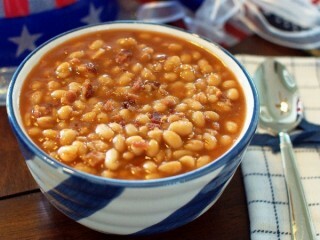 Here's a replica recipe that's great for a cookout, or as your cool cloned contribution to a party. 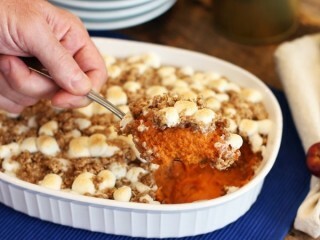 You can add everything to the dish ahead of time and bake it when you get to the shindig. 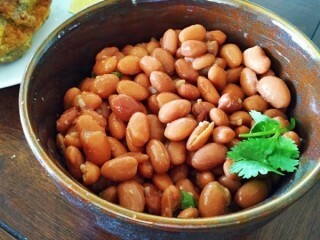 Just find yourself a couple cans of the small white beans (not pinto beans or great northern beans), and the rest is easy. 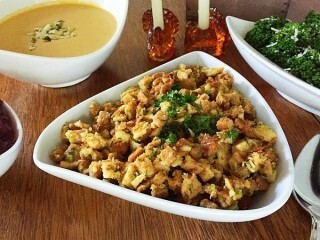 Throw all of the ingredients into a casserole dish and let the sucker bake, while you get in on the festivities. 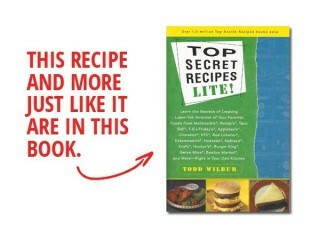 Source: Even More Top Secret Restaurant Recipes by Todd Wilbur. Menu Description: "Mixed greens, carrots, zucchini, green onions, peanuts. 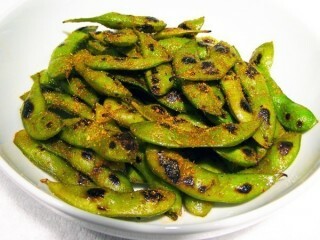 Tossed in a sweet and spicy dressing." 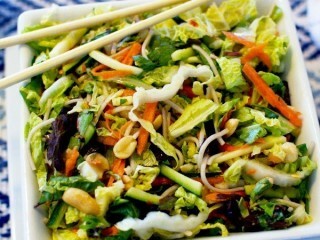 If you like the sweet, sour, and spicy flavor combinations of Thai food, you'll love this tasty twist on cole slaw. Just find yourself a medium-size head of napa cabbage and a few other special ingredients and you're on your way to a perfect side dish for grilled grub, sandwiches, or as a quick solo snack. The menu mentions cappellini but we'll substitute with soba noodlesthat can be found in the supermarket aisle with other Asian foods (the rice vinegar and chili paste will be over there too). If you can't find soba noodles, the thicker chow mien noodles will also work. The mixed baby greens can often be found in ready-to-serve-plastic bags in the produce section. But the real secret ingredient for great tasting slaw is patience. 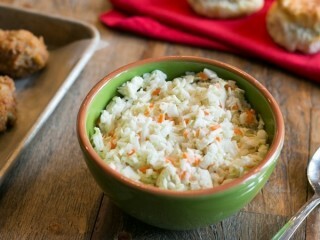 The flavors of cole slaw improve after several hours in the chill box, and letting it sit overnight is even better. "Ruth's Chris Steak House" is such a difficult name to spit out that a restaurant critic suggested it be used as a sobriety test. Surely anyone who could say the name three times fast couldn't possibly be intoxicated. But the hard-to-say name has worked well for the steakhouse chain—it's memorable. The name came from the first restaurant that Ruth purchased in 1965 called Chris Steak House. When she opened a second restaurant with that same name, the previous owner, Chris Matulich, tried to sue her. She won the case, but to avoid future law suits, she put her name in front of the original and it became the tongue twister we know today. 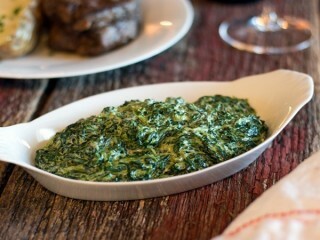 The delicious creamed spinach served at Ruth's Chris inspired this recipe that has just a hint of cayenne pepper in it for that Louisiana zing. The recipe requires a package of frozen spinach to make it convenient, but you can use the same amount of fresh spinach if you prefer. Similar to cloning the cole slaw at KFC, the secret technique for duplicating Cracker Barrel's delicious slaw starts with slicing the cabbage into very small pieces. A mandoline works great for this or use whatever slicing contraption you have. Slice the heads of green and red cabbage on the thinnest setting, and then chop those strips into small bits. The carrot can be shredded using a cheese grater. Mix it all up and then let the cole slaw chill out for several hours so the mixture can get its flavor on. An overnight chill is even sweeter. 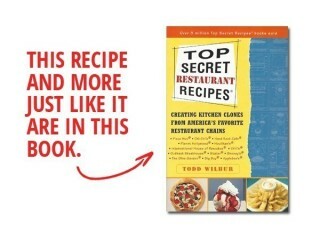 Source: Top Secret Restaruant Recipes 3 by Todd Wilbur. 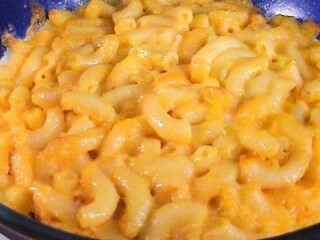 No mix that comes in a box tastes as good as macaroni and cheese that's made from scratch. 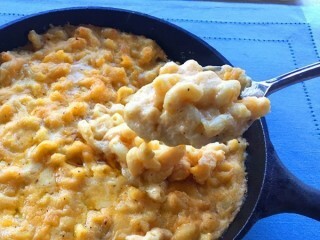 It seems crazy that these boxed mixes are so popular when making really good mac 'n cheese the old-fashioned way is so easy. 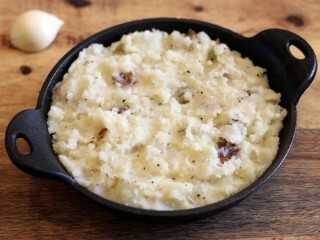 The 562-unit Cracker Barrel Country Store restaurant chain serves up an awesome version that's offered as a side dish with any meal. We'll whip up this cool clone in a 10-inch skillet and then brown it just a bit on top under the broiler before presenting it to the crew. A deserted Kroger grocery store in Richfield, Minnesota, was the site for the first Chi-Chi's in 1976. That was the year restaurateur Marno McDermott got together with ex-Green Bay Packer football player Max McGee to open the first of what would soon become a growing chain of Mexican food restaurants. 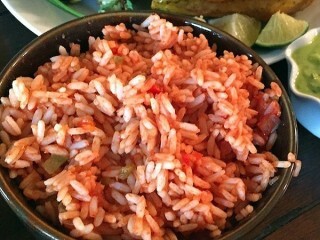 Today, with around 100 restaurants found mostly in the Midwestern and Eastern states, Chi-Chi's has become famous for its large portions of food, and for the expression, "don't touch the plate, it's very hot!" 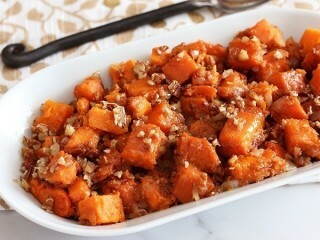 Alongside many of the entrees served at the restaurant is this sweet side dish. It's sort of like a combination of custard and cornbread, with corn and cornmeal in it. But the original is loaded with butter. 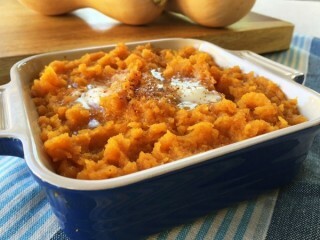 That means if you eat just a very small scoop of the tasty corn cake you'll be putting away around a dozen grams of fat. By using light butter or margarine and substituting milk for the heavy cream, we knock those fat grams down to about half of the real thing served in the restaurant. Yet the flavor and texture is just as good.